A ULC minister is having trouble in Hamilton County, Tennessee with community leaders who believe that the US is inherently Christian. A Universal Life Church minister has found himself embroiled in a conflict over prayer in government in Tennessee. Hamilton County commissioners re-scheduled Eddie Bridges’s invocation from 18 July to 19 November because he sent his request to give a commission meeting prayer by email instead of written letter. The confusing policy illustrates just how precarious and unfair government accommodation of prayer can be, not just for wedding ministers who get ordained online, but for other religious (and nonreligious) minorities, too. Well-informed ULC ministers will know that Tennessee is one of three US states that does not accept the Universal Life Church’s ordination and thus does not allow our ministers to perform wedding ceremonies there. Although it remains uncertain whether county commissioners discriminated against Bridges, several prominent local figures have passionately defended Christian prayer in government. 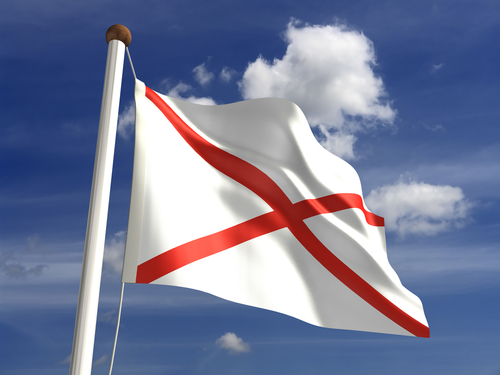 “This is the largest Christian nation that has ever existed in the history of this world,” said local political activist Charles Wysong at a recent commission meeting. “We have a Christian philosophy of government…and thus praying in Jesus’ name is not unknown to our society here.” Nothing could be further from the truth. The United States Constitution does not codify any form of Christian philosophy or theology; it does codify church-state separation. Additionally, founding father John Adams insists quite explicitly in the Barlow translation of Article 11 of the Treaty of Tripoli that “the United States is not, in any sense, founded upon the Christian religion.” While the commission may not be guilty of directly discriminating again Universal Life Church ministers and others who get ordained online, local activists like Wysong are promoting a theocratic agenda that has absolutely no judicial or constitutional justification. Tennessee theocrats mistakenly believe that the state-sponsored paramountcy of Christianity is under attack; ULC ministers know that this right never existed in the first place. Tennessee has plenty of theocrats to go around, though. “We want to say no, in this building, in this room, somehow it’s a violation of people’s ears,” said Chattanooga Tea Party president Mark West at the meeting. “If certain people want to observe a moment of silence, then fine, that’s their right. But they should not infringe their particular view on my right of praying in Jesus’ name.” But West has the facts turned around. Nobody is infringing on the right of Christians, because Christians have no right to co-opt government as their prayer pulpit to begin with. In fact, judicial precedence supports the opposite view: by favoring Christian prayers over others (and the vast majority of prayers at Hamilton County Commission meetings have been Protestant in nature), local governments are infringing on the right of non-Christians not to be proselytized. So, while Bridges and other wedding ministers who get ordained online may not be facing direct discrimination, their detractors, like West, are suffering from a serious religious persecution complex. If the Establishment Clause of the First Amendment to the U.S. Constitution applies at the federal level, it must also apply at the local level, because establishment of religion can happen piece-meal, from the bottom up, as well as wholesale, from the top down. It’s six of one, half-a-dozen of the other. Furthermore, a purpose of the Clause is to protect the rights of the minority against the tyranny of the majority, which is precisely why Thomas Jefferson (who influenced James Madison, the composer of the document) invoked it to express his sympathy for a persecuted minority group in his Letter to the Danbury Baptists. If Universal Life Church ministers and other nondenominational wedding ministers want to prevent religious tyranny, we need to help theocrats like Wysong and West recognize these important points. 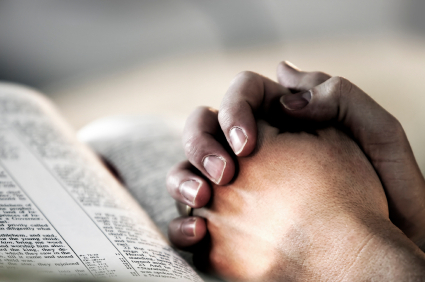 And if a resolution cannot be arrived at in which the Hamilton County Commission represents the interests of all individuals, perhaps the commission should simply do away with prayer altogether.